Tickets include admission, entertainment, food and drink. Payments are accepted via Paypal. Submit your name, phone and email to be added to the waiting list. We will contact you if more tickets become available. If you have any questions about buying tickets, contact information@aquajax.net. The Deep Blue Ultra Lounge at the Jacksonville Landing is a modern and upscale lounge and bar. It is located above Fionn MacCools and next to the former Koja Sushi. 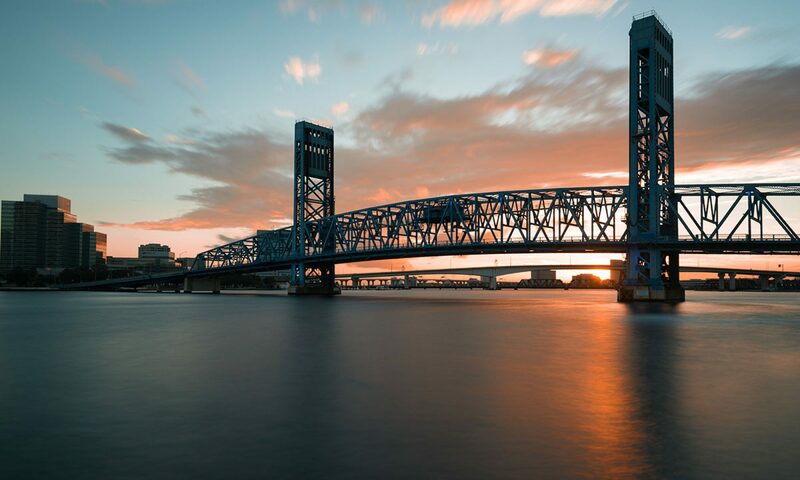 Full length windows provide sweeping views of downtown Jacksonville and the St. Johns River. It is the perfect setting to celebrate the arrival of an aquarium in our area. Local band Oscar Mike will play acoustic sets throughout the evening. This three-person band plays good tunes that are expressive, creative, solid, and true. David Johns, bassist and lead vocal, Daniel Johns, guitars and vocal, and Nick Davis, drums and vocal. Delicious dishes and imbibements graciously provided by the following sponsors. All food and drinks are FREE. *You must be 21 to drink beer or wine. Thank you to all of our sponsors and volunteers for their generous donation.